Stay warm and dry during training in this zip thru fleece from our 2019 NSW Training collection. 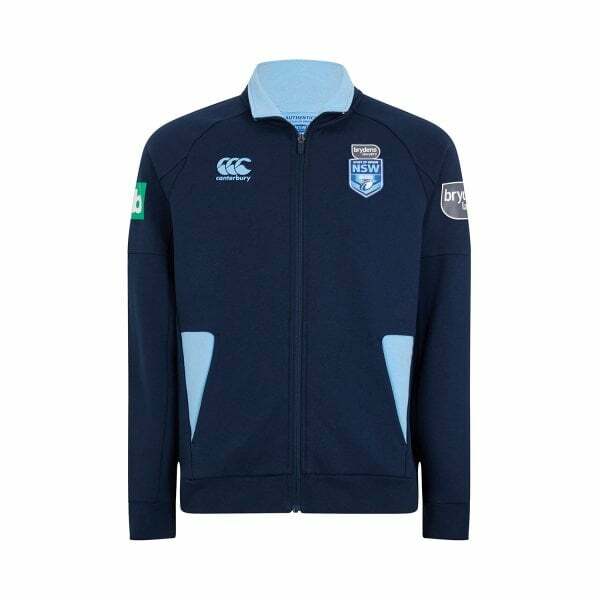 This quality garment will not only keep the elements at bay, but will show you’re a dedicated Origin fan and die-hard Blues supporter. Stay warm, dry and focused during and between training sessions in Canterbury’s Hybrid Zip Thru Fleece. Made from cotton and polyester brushed back fleece, with a full length zip and lower front pockets, this quality garment will protect you from even the harshest elements. It’s part of our 2019 NSW Training collection and features team and sponsor logos to show you’re a die-hard NSW fan. It also features the iconic CCC logo, identifying you as a member of the Canterbury community of players and supporters. Get yours now for State of Origin 2019 and show the flag for the mighty Blues.